For the second year running I spent New Year’s in Brighton, and same as last year I followed that vacation up with a stay in London. And same as last year, I brought back a number of photographs. Last year I had taken the analog Lomo Belair panoramic camera with me. This year I decided to go digital and took the Fujifilm X30. I took it primarily because I was expecting bad weather and low light, which normally hampers the use of lo-fi analog cameras. However, luckily bad weather wasn’t the norm, so that I ended up with a number of splendid colour photographs as well as black and white ones. 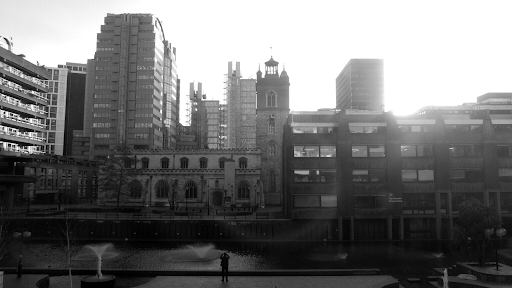 London, especially the ones which I shot in and around the Barbican. 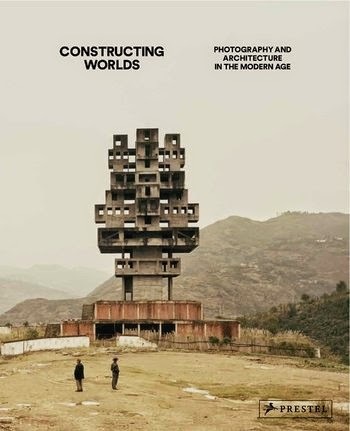 I visited the Barbican Centre to see an exhibition, Constructing Worlds: Photography and Architecture in the Modern Age; a show which I thought quite brilliant, both for the theme and for the large number of exceptional photos on display. At the same time, the Barbican complex is in itself a highly photogenic urban jungle, bordering on the ever growing architectural frenzy (some would say mess) that is London’s East End. Certainly it was no coincidence that the Barbican was putting on a show with this kind of theme, and so it was not necessarily a coincidence either that I ended up with a number of shots reflecting the theme of the show. The photographs which I took this year with the Fujifilm X30 in many ways compliment the panoramic pictures which I took last year with the Belair camera, so I combined the two in a common set, adding also a number of Polaroids which fit the theme of urban panoramas, as well as a couple of ‘Holgaramas’ from 2008, and a collage which I did in 2004 of Saint Paul’s as seen from the Tate Modern. Altogether they also illustrate how fast London’s skyline keeps changing, for better and for worse. Additionally, the photos illustrate another facet of London which I always found fascinating: here, the various epochs of London’s long history do not so much co-exist side by side, but seem to pile up on top of each other. The picture above is a good example as it shows tiers of buildings from various centuries, combining the medieval church of St Giles-without-Cripplegate with buildings from the 19th, 20th and 21st century high rises into a very crowded skyline. For my last trip to India back in October, I packed a new camera, a Holga 120Pan, i.e. the panoramic version of the Holga camera which shoots 6×12, 180° images. I didn’t have a chance to try out the camera beforehand, so I didn’t know what to expect, especially after having had mixed results with my first attempts using my other panoramic camera, the Belair 6-12 (read the blog entry here). However, after having finally developed and scanned the films, I must say that the camera exceeded my expectations. Granted, the light conditions were pretty much excellent in India, but the results are technically very good: no vignette, only a bit of darkening towards the left and right border of the exposure, and with the Holga’s trademark blurring toward the edges, which adds to the magic of the images. I shot one black and white Ilford ISO 400 film and for the rest a mix of Kodak and Fuji ISO 160 colour films. I shot the black and white film at my initial destination, Mumbai, while I used the colour films for the rest of the trip, chiefly in and around the city of Bhubaneswar, which is in Odisha, a state on the East coast of India. Additionally there are a few images from Chandannagar, which is close to Kolkata and which used to be a French colony. 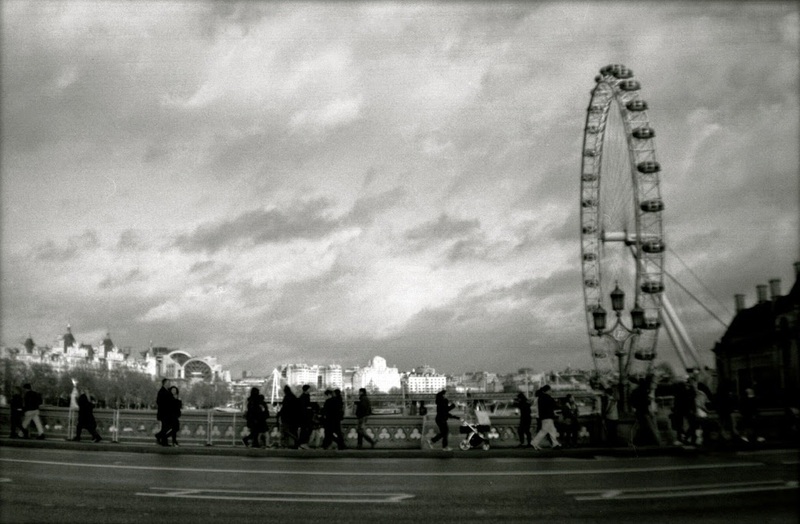 I finally uploaded a selection of the photos to the Holga section of the site, click here to view. Also, I put together a selection of the best portrait pictures from the trip, taken with the various cameras I had taken along – the Holga, the SX-70 and the iPhone. This set can be found in the People section under the banner I Wonder If I Know Him Now. I added a short set of Belair photos taken in the Swiss alps, using again the 58mm lens for maximum wide-angle effect. Enjoy. I recently uploaded a series of photos from London and Bucharest (Romania), all of them taken with the Lomography Belair x 6-12 camera and using a 58mm lens. Contrary to the Berlin set posted earlier, I used the camera primarily to shoot buildings and vistas rather than the more intimate street scenes I captured in Berlin (see my earlier blog post here). More of my Belair photos can be found [here]. I recently uploaded the second batch of photographs taken with the new Lomography Belair x 6-12 camera. Unlike with the first batch, the Brighton pics, I had with these rolls figured out how to hold the camera to properly format the images, which, guess what, vastly improves the results. Overall I’m vey pleased with the Belair, despite some technical, or rather mechanical, issues. Of these I plan to write later as I’m yet to write up a review of the camera. See also Brighton Winter for more Belair shots. 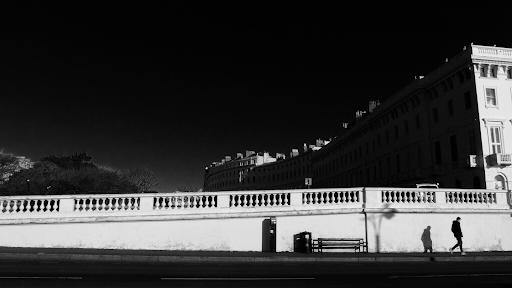 I spent this New Year’s in Brighton in South England. I had just before gotten me a new camera, the Lomography Belair x 6-12 camera. It’s a medium format camera, using 120 film. It comes with exchangeable lenses and settings that allows one to shoot either 6×6, 6×8 or 6×12 exposures. I did not have a chance to test the camera before leaving for Brighton, so the films I shot there were pretty much my test run. I decided to use the 58mm lens and either the 6×8 or 6×12 mm size settings to take full advantage of the camera’s panorama abilities. My experiences with the camera are mixed, and I will be posting a review later to explain. Suffice to say at this moment though is that overall I’m happy with the results, especially considering the less than perfect weather for most of my stay there. Some of the images are formatted not quite right as the shift between what you see in the visor and the result is quite considerable. Also a couple of rolls did not roll up properly, so there is some light leakage on the last exposures on those roll. Having said all that, here then is a selection of the best Belair pics from a few moody, wintry days in Brighton: click here to view.